Tampa Bay fishing charters – Lets fish the amazing waters of Tampa Bay for tarpon, snook, redfish trout and more with Capt. Chuck Rogers. Whether you are a new angler still learning, or a seasoned expert, Captain Chuck and Fin-Sanity will ensure you have the time of your life on our Tampa Bay fishing charters. So come aboard and enjoy inshore or offshore fishing aboard a new 24′ Blazer Bay. It’s fully equipped for up to four anglers. We have a 365-day fishing season, so pick a date and let’s head out on some of the most productive saltwater fishing waters anywhere in the world. Fin-Sanity specializes in snook and redfish charters, though we don’t miss the opportunity to take advantage of seasonal bites. Pompano, cobia, sharks, mangrove snapper, flounder, Spanish mackerel, kingfish, grouper and a variety of other species are taken on our Tampa Bay fishing charters. Just ask about what’s biting and we will fill you in on the best action available. Let us know if you are a beginning angler or experienced, live bait or artificial preferences, as we tailor perfect Tampa Bay fishing charters based on the client’s needs. 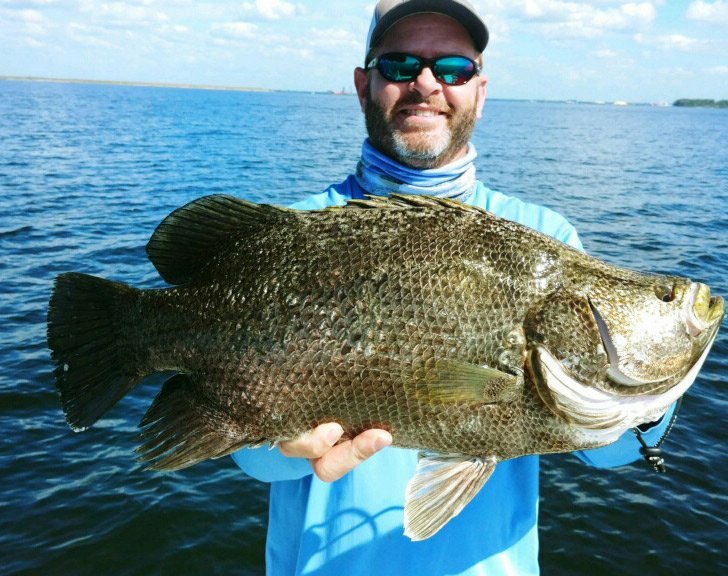 Whether vacationing in the Tampa Bay area or a year-rounder looking to zero in on the best fishing action, Fin-Sanity Charters is your guide to fun and top-notch fishing action.